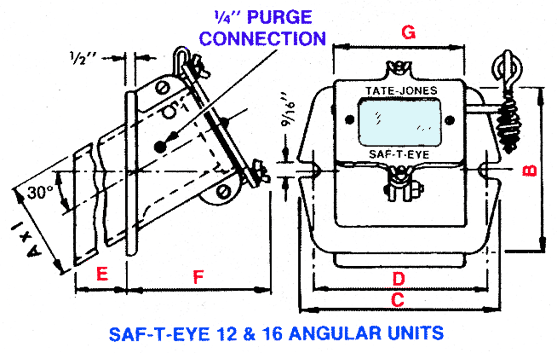 Model 12 (Angular) Saf-T-Eye® Observation Ports – Tate-Jones Inc. The “E” Dimension of these units is cut on a thirty degree angle providing a different viewing aspect inside the vessel. The #12 unit has a viewing area of 2-3/4″ by 3-1/2″. For a larger angular unit, see Model 16 (Angular). The operating environment and heat should be considered when ordering type of steel and glass. 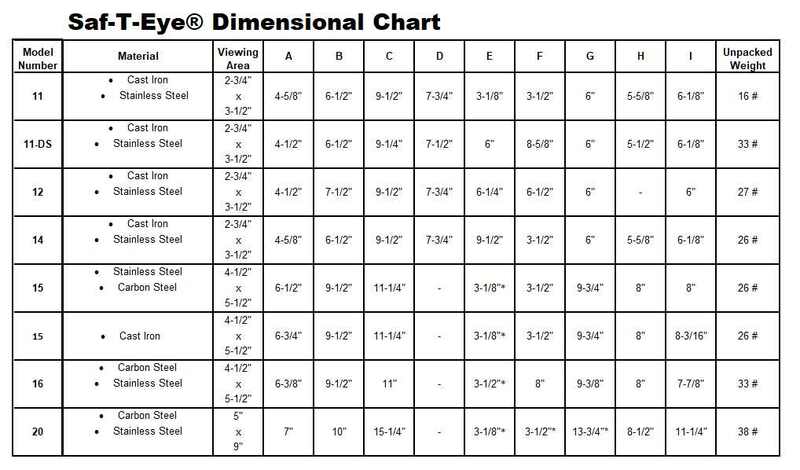 NOTE: Table Represents Standard Materials Available. Please Contact Us To Discuss Custom Options.